Seo òran-tàlaidh beag brèagha, a thàinig à Eilean Mhanainn bho thùs. Chaidh eadar-theangachadh bho Ghàidhlig Mhanainneach gu Gàidhlig na h-Alba o chionn mu cheud bliadhna, agus cha b’ fhada gus an do dh’fhàs e gu math measail air feadh nan dùthchannan Ceilteach. Anns an t-sèist chì thu “san ì” (bho Ghàidhlig Mhanainneach “oie”) an àite “oidhche”. ‘S e nàdar de chòmhradh a th’ ann, eadar pàiste agus uiseag. Dh’fhaodadh clann nas sine agus pàrant a sheinn còmhla, le ceist agus freagairt, no dh’fhaodadh am pàrant a sheinn leis fhèin, gus am bi am pàiste na chadal fon aodach-leapa bhlàth– ceart cho sèimh ris an uiseag fhèin eadar a dà dhuilleig. Na mòna duibh, na mòna duibh. Càit’ na chaidil thu ‘n raoir san ì? Air bhàrr an dris, air bhàrr an dris. Is o! bha mo chadal cho sgìth. Air bhàrr nan tonn, air bhàrr nan tonn. Ach o! bha mo chadal cho sgìth. Nan sgiathan òir, nan sgiathan òir. Càit’ na chaidil thu ‘n raoir ‘san ì? Eadar dà dhuilleag, eadar dà dhuilleag. 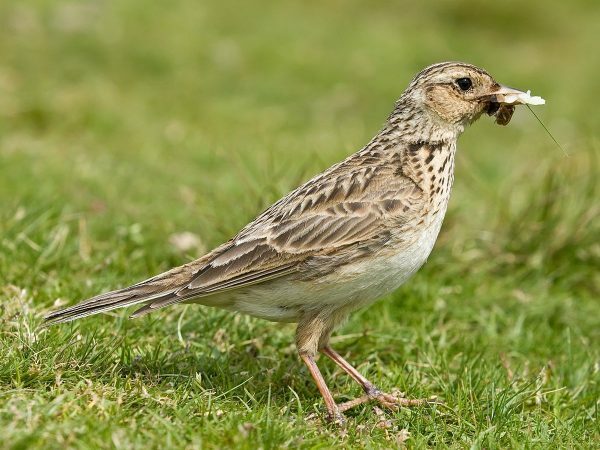 This is a lovely wee lullaby which originally came from the Isle of Man. It was translated from Manx Gaelic to Scottish Gaelic about a hundred years ago, and it wasn’t long before it became very popular throughout the Celtic countries. In the chorus you can see “san ì” for “in the night” (from the Manx word “oie”) instead of the usual Gaelic “oidhche”. 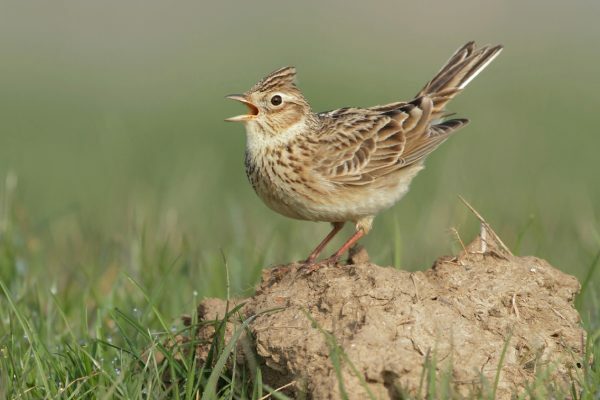 It’s a kind of dialogue between a child and a skylark. 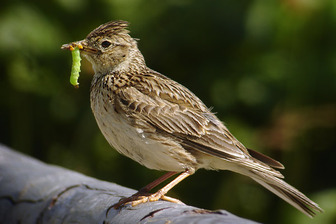 Older children and a parent could sing it together, question and answer, or the parent could sing it alone, until the child was asleep under the bedclothes, just as peacefully as the lark itself between its two leaves. But oh was my sleep so restless! And oh was my sleep so peaceful! Here are some links to it being sung.